In addition to our impressive in-room features, Canadas Best Value Inn Toronto offers a host of complimentary services for an enjoyable stay in the Greater Toronto area. Stop by our breakfast area for a delicious and healthy breakfast, enjoy free coffee and tea 24 hours a day, and stay connected online with free Wi-Fi throughout our hotel property. Find your perfect room or extended suite and book online today for amazing Toronto accommodation at incredible rates. Wake up to a quick, healthy Grab & Go breakfast, compliments of Canadas Best Value Inn Toronto! Enjoy coffee, tea or juice, and toast with a selection of delicious spreads to boost your energy and kick start your day. We are proud to be a part of the Save The Earth Program, which aims to reduce water and energy use. Help us be part of the solution by taking part in our water conservation efforts: Simply place your bathroom towel back on the rack to reuse once or twice, and leave them on the floor when you need clean replacements. Need an early morning caffeine fix, a mid-day pick-me-up or a calming evening tea? You’ll find it all right here at Canadas Best Value Inn Toronto with fresh coffee and tea service available 24 hours day, seven days a week. Prepare your own meals on your own schedule in our spacious kitchenette suites featuring a stovetop oven, full-size fridge, sink, dishwasher, microwave and plenty of cupboard and counter space. 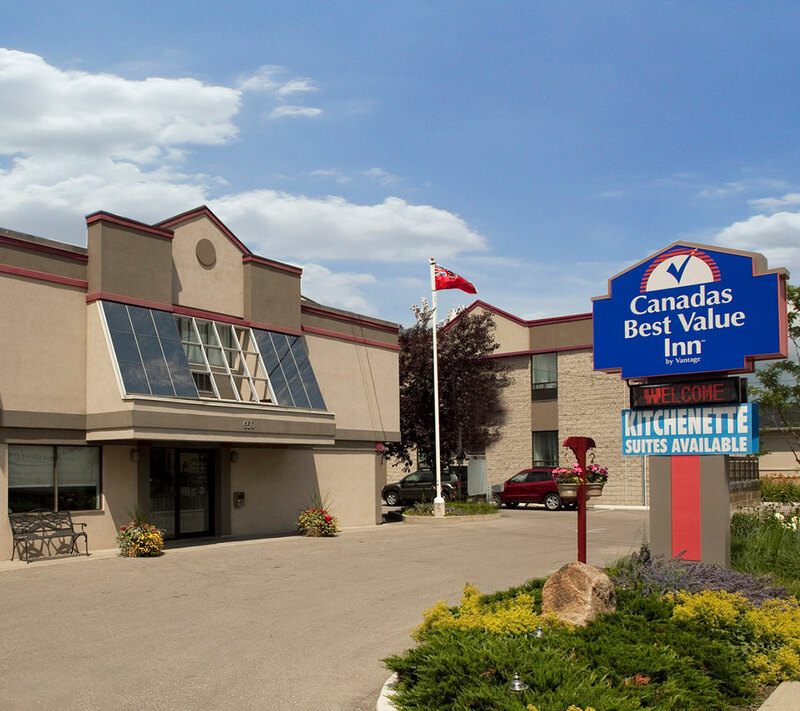 At Canadas Best Value Inn Toronto, you will enjoy free local calls, hotel parking, and in-room entertainment such as HBO, movies and other specialty channels all included in your low nightly rate.